This technique tends to draw giggles and silly voices from people who don’t know what it is. This technique is quite simple and brings great results. I prefer it over trussing and roasting. All you have to do to spatchcock a bird is to remove the backbone and the sternum and lay the bird out flat. Take a good pair of poultry shears and a whole bird. On either side of the triangle bit at the end of the spine, start cutting along the backbone. Be careful not to cut into the thigh or breast meat. The hip joints will be the hardest but cut between the joints rather than cutting the actual bone. Although the bones are hollow and easy to cut, be careful. If you are doing a turkey, you will need some strength as simply by being larger, they take more muscle that say a quail. One the backbone has been removed, open the bird up and lay it flat, inside up, skin side down. Now you are looking at the inside of the bird. Using a good sharp boning knife or chef’s knife, make a slit in the cartilage between the breasts. Try to bend the bird backwards and the breastbone will literally pop loose. Then all you do is pull it out. There will still be rib bones attached but you want those to still be there. Rinse the bird, lay it out flat. With the backbone gone and the breast bone removed, the bird should lay out nice and flat. Season the inside of the bird, flip it over. Pat the skin dry, rub a small amount of oil over the skin and then rub it well with seasonings. 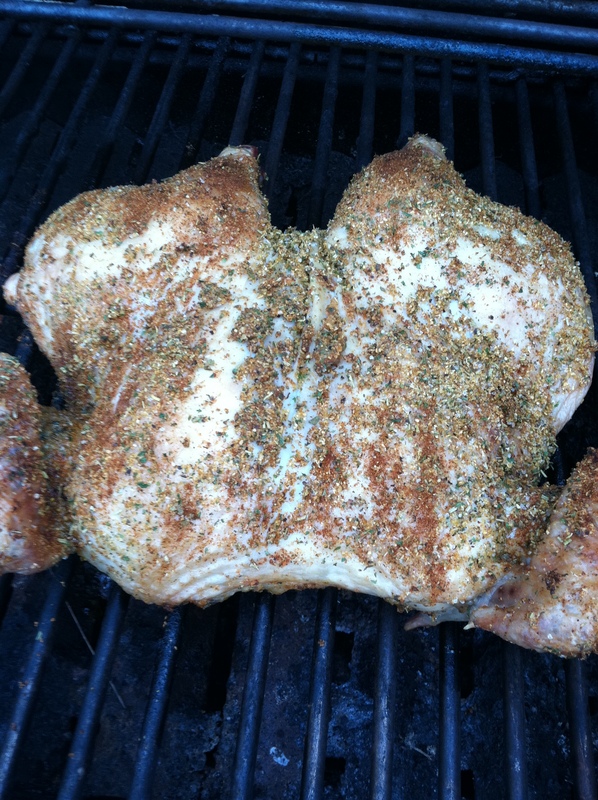 My favorite seasonings are salt, pepper, Montreal steak or chicken seasoning, and paprika. 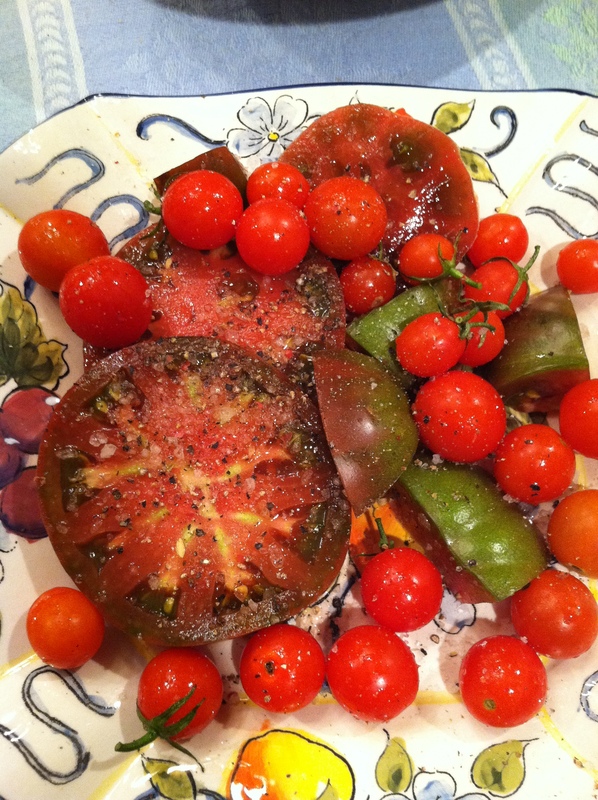 Paprika will help make the skin crispy. The seasoned bird can now be cooked either on a grill or roasted in the oven on a rack over mirepoix (50% diced onions, 25% diced carrots, 25% diced celery) at 375 Degrees F.
If grilling you will want to use the indirect method and keep the heat between 350-375 degrees F and no direct flames under the bird. Grill it skin side up for about 2 hours, keep checking so the bird does not burn. 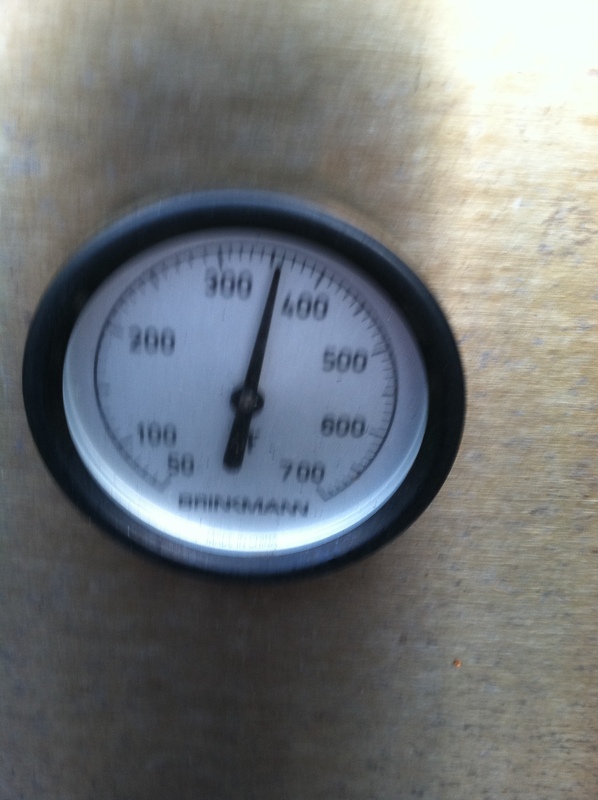 Either in the oven or on the grill, cook until the internal temperature reaches 165 degrees F. So yes, you will need a real food thermometer that is correctly calibrated. The bird is easily carved after it is cooked. Let the bird rest for about 20 minutes after removing it from the grill or the oven. Use a sharp knife to separate the leg and thigh and then to cut the breasts in half unless you want to leave them whole. or salsas to serve with the bird. This 18th century technique probably prompted giggles from the first time it was named. I have no idea where the name came from but the technique is a rather nice way to cook a bird. 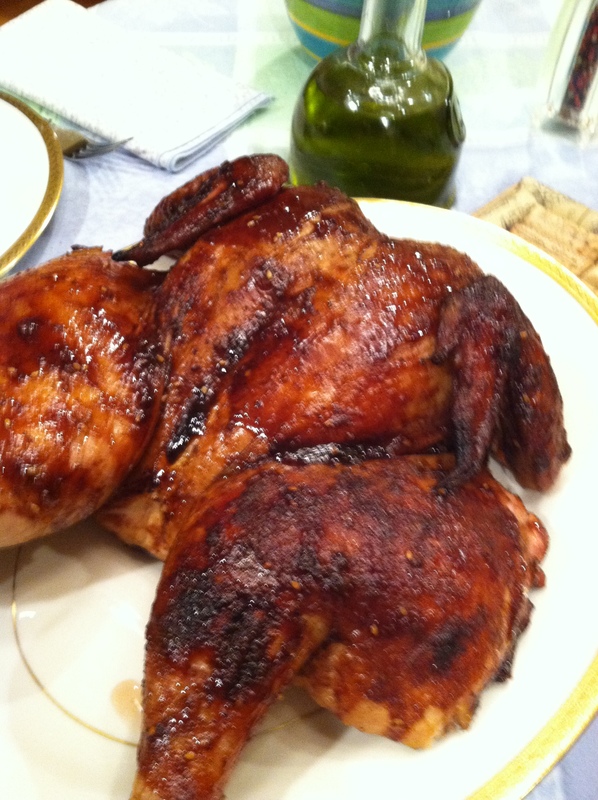 This entry was posted in Recipes, What every good cook should know and tagged cooking, eat, food, grilled chicken, grilling, grilling birds, mirepoix, roasting birds, spatchcock, spatchcocked technique. Bookmark the permalink.